Adil is currently the Managing Partner of MASC (Management Advisory Services and Consultancy) International, after working at Emirates Group for almost 29 years. He was VP Internal Audit when he left Emirates in August 2015. 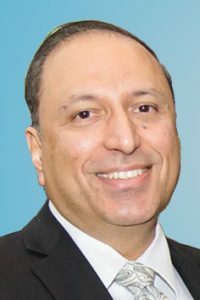 He has extensive experience in Risk Management framework development and implementation, Corporate Governance & Business Process Due Diligence Reviews, Internal Audit function set-up, Internal Auditing Tools & Techniques, Operational Auditing, and other Internal Auditing specialty areas. Adil is a Fellow of the Institute of Chartered Accountants (India), a Certified Internal Auditor (USA), a Certified Fraud Examiner (USA), holds a Certification in Risk Management Assurance, a Certified ISO 3100 Risk Management Professional and a Certified ISO 31000 Risk Management Lead Trainer. Adil is currently a member on the Committee of Research & Education Advisors, USA. Adil was the former Vice-Chairman of the Internal Auditing Standards Board of the IIA. He was the only review team member outside of North America and Europe for the re-write of Lawrence Sawyer’s Guide to Internal Auditing. Adil was the President of the Dubai Chapter of The Institute of Internal Auditors (IIA) during 1998-99. Adil is an accomplished international speaker, and has consistently been rated very highly for his presentations on internal auditing topics, as well as motivational subjects. He has been voted among the top speakers at several National and International Conferences, including Annual Gulf Regional Audit Conference in Dubai, General Audit Management conference in USA, Canada National Annual Conferences, All Star Conference (USA), IIA Annual International Conferences worldwide, etc.